Writing marketing email subject lines is easy. Right? I mean, all you need to do is write about four catchy words and boom! You’ll get opens, clicks, and conversions! So, as I said. Easy. That said, knowing (and employing) email subject line best practices will help you get those opens. …which also gives you the opportunity to get conversions. …you won’t get opens. And without opens… you get zero clicks… which means zero conversions. So wouldn’t it be ultra handy if there was a free Email Subject Line Tester built specifically to help you write great subject lines according to best practices every time? A free tool that will help you get those opens so you can get those clicks and ultimately get those conversions? The Email Subject Line Tester is the latest free marketing tool designed to help you write subject lines that get your emails opened. So… why should you check out (and bookmark) the Email Subject Line Tester? It’s the data-driven way to get more opens. 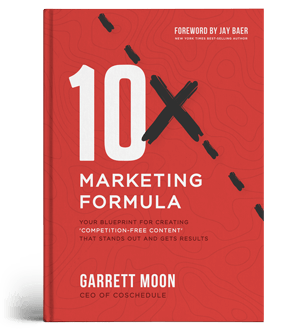 The insurmountable open gets reads, clicks, and ultimately conversions… which helps you reach your goals, sell more, and impress the boss. How to get that open? The Email Subject Line Tester makes it easier than ever to write subject lines that are most likely to get opened (backed by tons of nerdy datasets). Bid good riddance to that infamous blinking cursor. You know the importance of getting emails opened… but sometimes, writing inspiration is fleeting at best. Use the Email Subject Line Tester to not only make the process waaaayyyy more fun, but to have a clear “subject line saving grace” when all hope seems lost. Start typing. Get feedback. Iterate. Get results. Forget trying to remember the mechanics behind successful subject lines. Character count, emojis, emotional words, oh my! The tester is your expert email consultant that helps you clearly optimize every subject line for best practices so you don’t have to constantly wrack your brain for the tedious, nit-picky details. Find your best ideas faster. Write multiple subject lines, then choose the best performers for your A/B test BEFORE they hit your subscribers’ inboxes. The tester even shows you what your subject lines look like in inboxes to help you make informed decisions. And all of that gives you… in turn… the most opportunity to get those opens you’ve been pining for. And you can rock the Email Subject Line Tester for free right now to get all of those ^^^ benefits! Coming Soon To A CoSchedule Calendar Near You: Email Marketing (Including The Email Subject Line Tester Built Into Your Calendar)! You already trust your CoSchedule marketing calendar to help you see everything in one place. It's the best way to have a global view of everything your marketing team is working on. ...CoSchedule makes it easier than ever to plan comprehensive campaigns for your blog, social media, email marketing, and beyond all in one convenient tool. Plan your email marketing alongside everything else. Execute everything extremely efficiently with processes in context with your campaigns. Know exactly when everything is publishing (including your email marketing and beyond). It's happening! CoSchedule is your all-in-one marketing, social media, and email calendar! Feel free to reference these sources for the foundational research into the article you're reading. An email subject line is the introduction to the content held within the email. It's like a headline to an article. The subject line is what your subscriber sees in her inbox and often makes the first impression before she clicks through to read the content. In this sense, the subject line provides context with the goal of influencing the subscriber to open the email. Specific words that increase email opens (and how many you should use). Specific words and symbols that decrease email opens like spam triggers and beyond. The kinds of casing and capitalization that are proven to increase opens. How to use numbers and figures in your email marketing subject lines. The ideal character, word, and emoji counts that boost email open rates. This article also includes a comprehensive list of generally-accepted email subject line best practices in addition to the mechanics listed above. Combine the mechanics best practices and those guidelines to write some baller subject lines that will get those opens you've been needing! Best practice suggests using three or more emotional words and/or symbols in your subject line will increase your email open rate. Best practices suggest using zero spam words and/or symbols in your email subject lines to increase your chances of getting your emails opened. When YesWare analyzed 115 million email subject lines, they discovered title case was the most effective at increasing both email opens and replies. Data from MailChimp and cited through ConversionXL also suggests that capitalizing every word in your subject line has the potential to increase opens, in addition to other articles analyzed for the purpose of this article. Therefore, mechanics best practices suggest you'll improve your open rate by writing your email subject line in title case. That same study by YesWare found email open and reply rates were higher for email subject lines that contained numbers. Similar custom research into blog titles suggests using numbers and stats in headlines brings 206% more traffic to blog posts. Titles, after all, serve the purpose of increasing clickthroughs to read the actual content. Therefore, enticing your email subscribers with a number in your subject line likely has a similar effect: You build credibility, put a number to your value proposition, and make a promise all with a simple figure. So best practices suggest including a number (as a digit figure, e.g. 23) in your subject line may boost your email open rate. What is the best email subject line length? Many of the studies analyzed throughout this article varied drastically on this subject. Some, like Return Path's findings from a case study of emails received by more than 2 million subscribers found that subject lines 61-70 characters long had the highest read rate at 17%. Still other case studies like SendGrid's found email subject lines that were 15 characters or less have the highest engagement rates. This research suggests the best email subject length is 17-24 characters long. However, as with everything marketing, test for yourself! Analysis from Listrak suggests iPhone users only see about 35-38 characters of your subject line in portrait mode, and Galaxy users see about 33 characters in the same view. ^^^ Mobile email opens account for about 50% of all views... so optimizing for that experience may help you capture more of the opportunity when your subscribers are on the go. ...and the 20 studies researched for this article vary on the best practice here, too. There is, however, more cohesion here across the board: Keep your subject line short... just not too short! The longer it gets, the fewer opens you'll get. So best practices suggest shooting for around 3-5 words as your target for email subject line length. Emojis are an engaging way to triple charge your subject line. Brands that are using emojis have seen a 56% increase in their unique open rates. This isn’t a report from experience. We’re really seeing an increase in emojis, and you can use them as a brand appropriately, and they do add a nice little bit of flare and attention-getting in the inbox. You’re seeing a lot more brands doing this; we’re actually doing it a ton more than we were a year ago. Best practices suggest to use an emoji in your subject line to get your emails opened. Hint: Here's an email subject line example from one of the top-performers I've ever written here at CoSchedule that influenced 35,411 opens to date: "best ⏱ + 🗓 + 📄 + 📢 = 📈". Now, that example actually contains one too many emojis. But it illustrates how you may use emojis to create a mental gap that gets subscribers guessing at your meaning... and the only way to satisfy that urge is to open your email to find out what the subject line means! Windows 8 or 10: Click the keyboard icon in the lower-right corner of your taskbar and activate the Touch Keyword. From there, select the smiley face icon to display the emoji keyboard. Now when you hit an emoji, it will enter where your cursor is. Mac: Simultaneously, hold control + command + spacebar. A popup will appear where you can select an emoji. Just like on Windows, the emoji will appear where your cursor is. Emoji list: If you wanna see a giant list of emojis where you can copy/paste, bookmark the website GetEmoji. ^^^ You don't have to remember any of that. It's probably overwhelming anyway, amiright? Instead, check out the free Email Subject Line Tester and bookmark it. That tester is like an email subject line writing coach that keeps your writing on point. Now let's learn some other generally-accepted best practices to help you write effective subject lines from the get-go. ...which can get you more conversions. SalesFolk suggests, "If you want to motivate your prospects to open your emails, your subject lines need to give them something of value in return." ^^^ That's pretty good advice. They go on to note that including numbers as proof of the value you'll provide is enticing for clicks. In her article on HubSpot's marketing blog, Olivia Allen wrote, "Subject lines are similar to calls-to-action, in that you want the language to inspire people to click. Subject lines that begin with action verbs tend to be a lot more enticing, and your emails could be drastically more clickable by adding a vibrant verb at the beginning." ...chances are, those terms also fair very well in email subject lines! Appealing to fear of missing out is an excellent way to motivate your audience to take action. Only some people will get the benefits you've promised. This includes limited seats, for example... so if you want in, you gotta hurry before your peers get it and you don't. Anyone gets in... but with restrictions. Whatever you're providing is available to anyone who wants it, but you control how much they see, how they access it, when they access it, etc. So if you want in, you better get the full version or you're missing out on what your peers are experiencing because everyone else obviously has the full version. 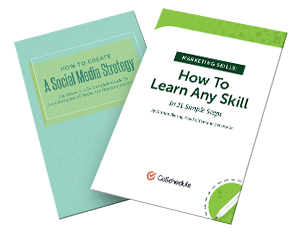 Asking questions in your social media messages boosts your clickthrough rate. In fact, close-ended questions get 255% more traffic than open-ended questions. Does the same work for your email subject lines? If you apply the research, the second subject line should perform better. Why might that be? Close-ended questions typically make people answer, "Yes," or "No," in their minds. If you tie something your subscribers desperately want into the subject line (e.g. if I were writing the example subject lines above to appeal to marketers... let me just say... what marketer doesn't want more traffic, right? ), they feel like they have to open your email to learn the answer (e.g. you're thinking, "Yes, I definitely want more traffic... I wonder what this is all about," and then you open my email). I'm realizing that truly understanding the fear of missing out makes for incredible email subject lines. If you haven't already looked it up, read why it's so powerful right now. By mystery, I'm talking about telling a part of the story in your subject line, but omitting key concepts that leave your subscriber wondering what lies within the email. Start with the end: This makes your subscribers wonder how the outcome came to be. Example: How did Uber get so organized? Be weary of really creative subject lines, however. Sujan Patel discovered some A/B test research that pitted clear subject lines against creative (mysterious) subject lines. The result? Again, clarity is important for increasing your open rates. Sometimes you can be clear while appealing to your subscribers' human attraction to humor. Now, I can tell you, he could improve his open rate by writing in title case, including a number, and including an emoji. This email subject line has a clickthrough rate of 65.2%. ...because, after all, Peter is marketing to marketers who know all the tactics he's using to sell to them. So he's humbling himself while getting his points across clearly. This was an opportunity for Peter to write a joke into his subject line that is also bluntly clear. Maybe you can test this for yourself! Jenna Gourdreau interviewed email marketing expert, Dmitri Leonov, for a Business Insider article covering the worst mistakes people make in email subject lines. 15. Use Tons Of Exclamation Points For No Good Reason!!!!!! ^^^ That was a joke. Let me be clear: It's cool to use exclamation points and some punctuation in your subject lines. However, sparsely doing this is the best way to improve your open rates. When looking at brands that use the exclamation mark sparingly, we find that more than 70% of them indeed see a lift in their open rate when they use it, and that lift is usually about 10% to 20%. So avoid what you saw in this subheadline and don't use exclamation marks in every subject line. Data cited in a recent brief from Marketing Dive suggests personalizing subject lines may boost your opens by 50%. I'd say it's worth a test! "You know that a subject line is there to get people to open, and when used in combination with the from name, the purpose is to get people to open the email." Pretty good advice there from the mastermind behind Copyhackers, Joanna Wiebe. Joanna goes on to elaborate, "If the from name doesn’t sound like it’s from someone you want to hear from, it doesn’t matter what the subject line is." Jacqueline isn't the only one. HubSpot actually A/B tested this concept and found emails from "Firstname Lastname, Companyname" got more opens and clickthroughs than a generic sender name of "Companyname". They included an actual human’s name. Nathan, Jessica Webb. These are both examples of human names (well, duh). By including their names, it feels like you’re reading something personal, crafted by an actual human, and not some faceless, soulless marketing department. They also included the brand’s name. Just seeing a random human name isn’t enough. It lacks context and reeks of spam. However, by combining a real human name with a brand name, you’ll increase the chances of being recognized at a glance by your subscribers. Your subscribers will see more text than just the subject line before they open it. The preview text is often the first 10-20 words in your email body. While the subject line itself is a little lengthy, the preview text of "Do you know what it takes to hire well?" is a close-ended question that makes me answer either, "Yes," "No," or maybe "I guess I don't know!" So if I answer the latter two... Michael basically promises to help me learn what it takes to hire well if I just open his email. I dig WordStream's content. But seeing their Company name and an image file name is pretty meaningless to me as a subscriber. ...so it feels like I'm getting the same email a bajillion times. Unique preview text gives me context behind the content within the email. And when done well, like how Michael Hyatt did it, optimized preview text can entice higher open rates. Tuesday is the best day to send email. Thursday is the second best day to send email. Wednesday is the third best day to send email. If you were to send three emails per week, plan your email send cadence for Tuesday, Wednesday, and Thursday to get the most opens. Now that you know the best days to send email, when are the best times to send? Your last email subject line best practice tip? I suggest writing no fewer than 25 email subject lines for every email. We follow a similar approach for every headline we write here at CoSchedule. ^^^ Sure, it's funny. But there's some serious truth to it. So how would I suggest you put that advice into practice? Open the free Email Subject Line Tester from your friends at CoSchedule. Come on. It's free. Use it. Write 25 subject line variations in the tool. It will store your history and scores as you go along. Find the two subject lines with the highest scores in the list you just wrote in the Email Subject Line Tester. Copy/paste those subject lines into your email sending service for the A/B test. Repeat what you know works next time around. ^^^ Can it be that simple? ...it's high time you try the Email Subject Line Tester for yourself. Then use all of the best practices you've learned from this article to increase your open rates.